The thought of his Sabres career ending caused Pominville, 36, to break down. After that, an emotional Pominville asked to temporarily end the interview so he could compose himself. Pominville has showcased terrific longevity. Only three players older than him have scored more than his 15 goals this season. He has spent much of the campaign skating beside top center Jack Eichel. Of course, at times, he has also shown his age. Sabres coach Phil Housley has recently scratched him. Whatever happens, the affable Pominville keeps quietly going about his business. “He’s a remarkable person, No. 1, the consummate teammate, the true professional,” Housley said. “He does what we ask him to do with no hesitation. He just has a great attitude when he comes to the rink. He does things the right way. But the hapless Sabres, a team in need of an overhaul, might pass on re-signing Pominville, who will become an unrestricted free agent following the season. If that happens, the Sabres will be saying goodbye to one of the greatest players in franchise history. 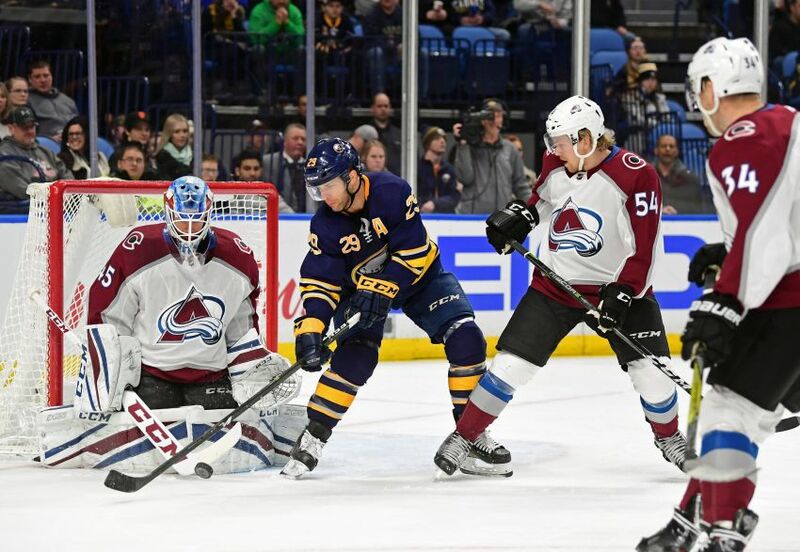 “He wears his heart on his sleeve, (gives) everything that he has every night, regardless of what ice time he’s getting,” Housley said. “He never complained. He wants to make a difference. He truly believes in this organization, the past and recent present. Pominville made his NHL debut in 2003-04 and joined the Sabres for good two years later, scoring the overtime goal that pushed them past the Senators into the 2006 Eastern Conference final. He scored 30 goals twice and was an NHL All-Star in 2011-12 before the Sabres traded him to the Minnesota Wild in 2013. Sabres general manager Jason Botterill, a former teammate of Pominville’s, brought him back in a trade before the 2017-18 season. He played his 1,000th NHL game Nov. 1 in Ottawa. Pominville has compiled 292 goals and 725 points in 1,058 NHL games. The former second-round pick is tied for 10th all-time in Sabres history in goals (216, with Don Luce) and ranks eighth in assists (303), points (519) and games (731). Housley said winger Alexander Nylander suffered a lower-body cut in Tuesday’s 3-2 loss to the Nashville Predators and is out tonight. The rookie, who’s day-to-day, needed stitches and is taking medication. Housley expects he will be ready for the AHL playoffs with the Rochester Americans later this month. Sabres goalie Carter Hutton will start tonight, his 50th appearance. Senators goalie Joey Daccord will make his NHL debut. Class act for sure. Great Sabre with a really nice career. He will be missed.